Student loan debt has skyrocketed past credit card debt in the United States. Mortgage debt is the only debt category with a higher amount owed compared to student loan debt. According to one source, over 44 million individuals owe a combined $1.5 trillion in student loan debt. Graduates in 2017 owed an average of $40,000 in student loans. Most students spend over 19 years paying off loans they received for their college education.Sadly, almost 40 percent of borrowers are expected to default on their student loans by 2023. When you consider that most student loan debt is not dischargeable in a bankruptcy case, it is difficult to comprehend what a borrower should do if he or she cannot afford student loan payments. While most student loans are not eligible for a bankruptcy discharge, some debtors may qualify for a discharge of student loans. However, debtors must meet strict eligibility requirements to discharge student loans in bankruptcy. The court must determine that the debtor will experience an undue hardship if the debtor is required to repay the student loans. In February 2018, The Education Department announced that it would be reviewing the requirements for determining if a debtor qualifies for a bankruptcy discharge of student loan debt. Until the federal government changes the standards, the bankruptcy courts continue to apply the Brunner Test to determine if a debtor qualifies for a student loan discharge in Chapter 7. The court case of Brunner vs. New York State Higher Education Services Corp. established the three requirements for determining whether a debtor will experience an undue hardship if required to repay student loans. Before a debtor can discharge student loans in Chapter 7, the court must find that the debtor meets all three requirements as outlined in the Brunner case. Can the debtor maintain a minimal standard of living? The court examines the debtor’s anticipated standard of living if the debtor continues to repay the student loans. Basic living expenses such as food, clothing, and shelter are included in the calculation of the minimal standard living requirement. Optional expenses, such as gym memberships, cell phone plans, and cable television are typically not considered basic living necessities to evaluate a minimal standard of living. Whether the debtor’s current financial situation is expected to continue. If the debtor has only been unemployed for a short time, the debtor may not qualify for an undue hardship discharge. The debtor’s financial situation must be expected to continue for most of the term of the student loan. For instance, a debtor who may never work again because of a permanent disability may meet this requirement. Has the debtor made a good faith effort to repay the student loan debt? The debtor must demonstrate that he or she paid the student loan payments until financial circumstances made it impossible to continue paying the monthly payments. The court may also consider whether the debtor tried to modify the loan payments, applied for a forbearance agreement, or made other financial sacrifices to meet their obligations under their student loan notes. The interpretation of the Brunner requirements can vary from one jurisdiction to another jurisdiction. It is important to work with an experienced Florida bankruptcy attorney who understands the Brunner Test. You will need assistance from a bankruptcy attorney in Florida to prepare and file the necessary documents to request a hearing. You also need an experienced attorney to argue why you should receive an undue hardship discharge of your student loans during the court hearing. Tony Turner assists clients in Orange Park, Jacksonville, Lake City, Deland, Augustine, and the surrounding areas as they seek affordable solutions to debt problems. If you want to explore bankruptcy options to get rid of debt, contact The Law Office of Tony Turner for a free consultation. Call (904) 679-2020 or use the online form to schedule your free consultation with a Florida bankruptcy lawyer. Many small businesses close within the first 18 months after opening. It is estimated that approximately 80 percent of new businesses fail within the first 18 months. Fifty percent of new businesses fail after the first four years of being opened. Only one in five businesses make it past their five year anniversary. With statistics like this, why would anyone want to open a new business in Florida or anywhere in the United States? Even though the statistics may discourage some people from opening a new business, thousands of entrepreneurs decide that the risk is worth the dream of owning their own business. However, what happens to the debts a small business owner incurs if theirs is one of the businesses that does not make it. Does the business owner owe all the company debt when the company closes? PERSONAL LIABILITY FOR BUSINESS DEBT. If an entrepreneur is a sole proprietor, they are liable for all business debts. In many cases, a small business owner signs personal guarantees for some business debts, even if the owner has incorporated the company to provide some level of protection from personal liability. Sole proprietors and business owners who sign personal guarantees can be held legally liable for the business debt if the company cannot pay the debts. In addition, a creditor can seek a personal judgment against the owner for the business debt so that the creditor can collect the business debt from the owner’s personal income and property. In many cases, a small business owner has no alternative but to file for bankruptcy relief when a business fails. However, some individuals may have too much income to qualify for bankruptcy relief under Chapter 7. Fortunately, Congress included a business debt exemption to the Means Test when it passed the Bankruptcy Abuse Prevention and Consumer Protection Act (BAPCPA). The business debt exemption encourages entrepreneurs to continue to open small businesses by giving them some level of protection in bankruptcy court if the business should fail and they are personally liable for the debts. WHAT IS THE CHAPTER 7 MEANS TEST? The Means Test was added as an income test for Chapter 7 debts when Congress passed BAPCPA. A debtor must meet certain income requirements to qualify for a bankruptcy discharge under Chapter 7. The Means Test was intended to ensure that Chapter 7 was not abused or used by debtors to fraudulently avoid paying creditors when the debtors had sufficient disposable income to pay a portion of their debts through a Chapter 13 repayment plan. A Florida debtor may qualify for a bankruptcy discharge under Chapter 7 if the debtor’s average income is below the median income for Florida. The average income is based on the debtor’s income for the six months before filing the bankruptcy petition. The debtor’s current monthly income is calculated by dividing the total income for the preceding six months by six. The result is multiplied by 12 to arrive at an annualized income to compare to Florida’s median income. If a debtor’s annualized income exceeds the median income for Florida bankruptcy filers, the debtor must complete the second section of the Means Test. The second section subtracts allowable monthly expenses from the debtor’s income to determine the debtor’s disposable income. A debtor who has sufficient disposable income to fund a Chapter 13 plan does not qualify for a bankruptcy discharge under Chapter 7. EXEMPTIONS TO THE CHAPTER 7 MEANS TEST. As mentioned above, there are a few exceptions to the Chapter 7 Means Test, including the business debt exception. A debtor whose debts are primarily business debts is exempt from the Means Test requirements. The Means Test is intended to apply to consumer debtors. Consumer debt is typically defined as debts that are incurred by an individual for household, family, or personal purposes. Debtors whose debts are primarily consumer debts must take and pass the Means Test to qualify for a bankruptcy discharge under Chapter 7. However, Congress did not want to discourage risk-taking by entrepreneurs by severely restricting their ability to file for bankruptcy relief under Chapter 7. Therefore, the Means Test does not apply in cases in which the individual’s debts are primarily business-related debts. Business debts are typically defined as any debts incurred in the operation of your business. For instance, credit cards used to pay business expenses or purchase items for the company are usually considered a business debt. Amounts owed to vendors, suppliers, and creditors who loaned money to purchase business assets (i.e. vehicles, buildings, equipment, etc.) are business debts. When determining if the Means Test does not apply because the individual debts are primarily business debts, “primarily” is usually defined as 50 percent or more of the total debt owed by the debtor. Therefore, a debtor may have a mixture of consumer debt and business debt and still be exempt from the Chapter 7 Means Test if the total of business debts exceeds one-half of the total of all debts. IDENTIFYING BUSINESS DEBT IS NOT ALWAYS SIMPLY. In some cases, the lines between consumer debts and business debts may be blurred when a business owner co-mingles personal and business finances. Working with an experienced Florida business bankruptcy lawyer is strongly recommended if you are attempting to qualify for a Chapter 7 bankruptcy case by using the business debt exemption. An experienced Florida bankruptcy attorney understands how to maximize business exemptions to help a business owner qualify to file for debt relief under Chapter 7. Contact an Orange Park Business Bankruptcy Attorney to Discuss Filing for Bankruptcy Relief If your business is experiencing debt problems, contact The Law Office of Tony Turner by calling (904) 679-2020 for a free bankruptcy consultation with a Florida business bankruptcy attorney. Bankruptcy lawyer Tony Turner assists businesses and business owners throughout Orange Park, Jacksonville, Lake City, Deland, Augustine, and the surrounding areas explore bankruptcy and non-bankruptcy options for eliminating debt problems. 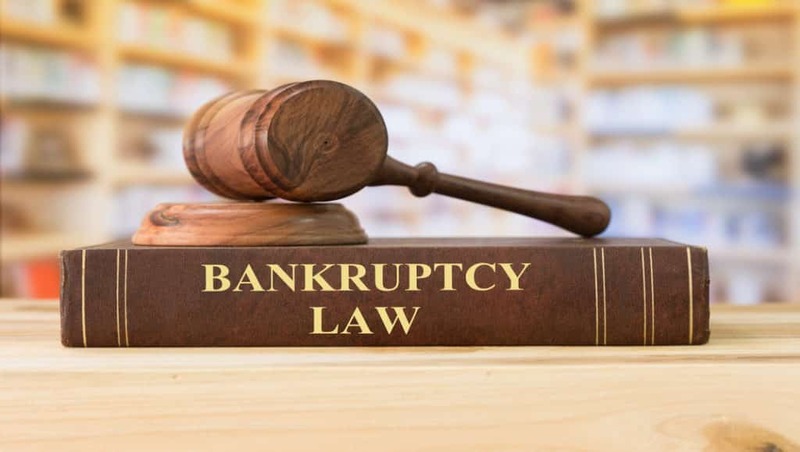 The definition of bankruptcy is the legal status of a person or other entity that cannot repay it’s debts and files a bankruptcy petition with the appropriate Court requesting the debt be discharged. In Florida, thousands of debtors file for bankruptcy every month. For most it is a measure of last resort. Many debtors try for years to pay their debt before succumbing to the realization that it virtually impossible. A recent trend is that older debtors are beginning to file bankruptcy with more frequency. The rate is more than double what it was in the early 1990’s. The rate of debtors over the age of 65 filing for bankruptcy increased over 200% from 1991 to present. This increase is caused in part by the medical bills as well as the lower incomes they receive and the nationwide decline in pension, retirement pay and interest rate earned on money saved or the death of a spouse. Many resort to living with their children or doing without necessities to pay their bills. Medicare does pay some health care costs, but it does not cover extensive care, hearing aids, dental procedures, eye exams, foot care and some other treatment. Sometimes there are co-pays, coinsurance and deductibles. The skyrocketing medical costs are just too much. Sometimes Churches, friends or family will help. However, once they get behind on their bills, the constant calls from bill collectors are just too stressful and they contact a bankruptcy attorney for help. Most debtor’s over 60 are reluctant to file for bankruptcy. They have a stronger sense of a moral obligation to pay. Some have parents that grew up during the Great Depression or were part of the “Greatest Generation”. The decision to file for bankruptcy takes place over time. Most debtors struggle for years in what’s know as the “sweat box”. Most deplete all their assets when it wasn’t necessary. The assets could have been protected and kept under the bankruptcy laws. It’s a very difficult and painful decision, but one that ultimately leaves them in a better financial position for their Golden Years. The over 60 year old clients are some of the most appreciative clients I have. They are respectful, compliant and will bake you a cake from scratch for your birthday. At least one I’ve represented does. According to a report published on www.uscourts.gov website on October 31, 2018, Bankruptcies fell by 2.2 percent for the 12-month period ending September 30, 2018, compared with the year ending September 30, 2017, continuing a series of slight annual declines in new cases. The U.S. Supreme Court earlier this year approved amendments to the Federal Rules of Bankruptcy Procedure that are expected to become effective on December 1, 2018. 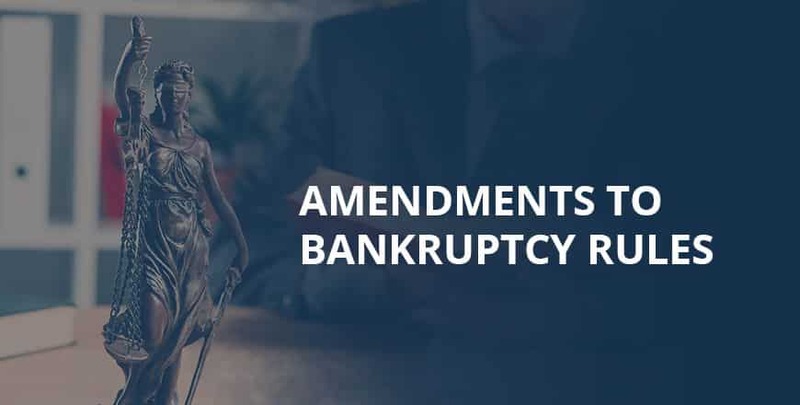 Many of the amendments are technical and are intended to conform the Bankruptcy Rules to recently amended rules of appellate and civil procedure. Bankruptcy Rules affected by the amendments include Rules 3002.1, 5005, 7004, 7062, 8002, 8006, 8007, 8010, 8011, 8013, 8015, 8016, 8017, 8021, 8022, 9025, and new Rule 8018.1 and Part VIII Appendix. Rule 3002.1. Bankruptcy Rule 3002.1 requires creditors with claims secured by a debtor’s personal residence to provide notice of all post-petition payment changes, fees, expenses, and charges incurred. The proposed amendments to the rule would create flexibility regarding notice of payment changes for home equity loans, include a procedure for objecting to payment changes, and expand the category of parties who can seek a determination of fees, expenses, and charges that are owed at the end of a bankruptcy case. Rules 5005 and 8011. Rules 5005(a)(2) and 8011 authorize individual courts to mandate electronic filing or to make it optional. Most courts require attorneys to file electronically, subject to reasonable exceptions. The proposed amendments would make electronic filing mandatory in all districts for all parties represented by an attorney. Paper filing would be allowed for good cause, and individual courts by local rule could permit paper filings for other reasons. The proposal would permit pro se debtors to file electronically only if authorized by individual court order or local rule. Individual courts that mandates electronic filing for all pro se debtors must provide reasonable exceptions. Rule 7004. The technical amendment to Rule 7004 would update a cross-reference to Federal Rule of Civil Procedure 4. Rules 7062, 8007, 8010, 8021, and 9025. These rules address the entry, enforcement, and appeal of judgments entered in adversary proceedings. Rule 7062 incorporates the whole of Federal Rule of Civil Procedure 62, which provides an automatic stay for the enforcement of judgments entered by a district court. The current stay is 14 days, but a proposed amendment to Civil Rule 62 would increase the stay to 30 days to coincide with the 28-day deadline for filing post-judgment motions in district court. The proposed amendment to Bankruptcy Rule 7062 would still incorporate Civil Rule 62 but would retain the 14-day duration for the automatic stay of judgments since the deadline for post-judgment motions in bankruptcy cases is only 14 days. The proposed amendments to Rules 8007, 8010, 8021, and 9025 would allow a party to stay the enforcement of a judgment in an adversary proceeding by posting a “bond or other security.” This is not a substantive amendment; it is intended only to “broaden and modernize” the terms “supersedeas bond” and “surety” that are used currently in the rules. Rule 8002; Official Form 417A and New Director’s Form 4170. Rule 8002 addresses the timeliness of appeals. Rule 8002(a) provides that a notice of appeal must be filed within 14 days after the entry of a judgment. The proposed amendment to Rule 8002(a) would add a new subparagraph (5) that defines the term “entry of judgment” for purposes of calculating the time for filing the notice of appeal. Rule 8002(b) lists the types of post-judgment motions that toll the deadline for filing appeals. The proposed amendment to Rule 8002(b) would require the filing of post-judgment motions within the times specified by the rules under which the motions are authorized. A similar amendment concerning the timeliness of tolling motions was made to Federal Rule of Appellate Procedure 4(a)(4) in 2016. Rule 8002(c) establishes filing and service requirements for inmate appeals. Under the proposed amendments to Rule 8002(c), an inmate’s notice of appeal is timely if deposited in the institution’s mail system on or before the last day for filing. The notice must include a declaration or notarized statement by the inmate stating the mailing date of the notice and attesting to the prepayment of first-class postage. A new Director’s Form, Form 4170 (Declaration of Inmate Filing), sets out a suggested form for the declaration. An amendment to Official Form 417A would direct inmate filers to the Director’s Form. Rule 8006. Rule 8006(c) establishes the manner by which litigants can file a joint certification for direct appellate review. The amendment would add a new subsection that would allow the bankruptcy court to file a supplemental statement about the merits of the parties’ joint certification. The new subsection is intended to be the counterpart to existing subsection (e)(2), which authorizes the parties to file a similar statement when the court certifies direct review on its own motion. Rules 8013, 8015, 8016, 8022, and New Part VIII Appendix; Official Form 417C. Rules 8013 (motions), 8015 (briefs), 8016 (cross-appeals), and 8022 (rehearing) establish length limits for motions, briefs, and other pleadings filed in bankruptcy appeals. The proposed amendments convert current page limits to word-count limits for documents prepared using a computer. Similar length limits were made to Federal Rules of Appellate Procedure in 2016. A new appendix to Part VIII of the Bankruptcy Rules lists all of the length limits in one chart. A conforming amendment is made to the certificate of compliance in Official Form 417C. Rule 8017. Rule 8017 addresses the filing of amicus curiae briefs. The proposed amendments would permit a district court or bankruptcy appellate panel to prohibit or strike an amicus brief if the filing would result in the disqualification of a judge. The amendments address the scenario in which an amicus brief is filed before a judge or appellate panel is assigned to a case and amicus curiae could not predict whether the filing of its brief would result in a recusal. A similar amendment has been proposed for Federal Rule of Appellate Procedure 29. Rule 8018.1. New Rule 8018.1 is the latest installment of rule amendments intended to address the impact of the Supreme Court’s decision in Stern v. Marshall, 564 U.S. 462 (2011) on bankruptcy court jurisdiction to enter final judgments. The proposed rule would authorize a district court to treat a bankruptcy court’s judgment as proposed findings of fact and conclusions of law if the lower court did not have the constitutional authority to enter a final judgment. Effective date. The Judicial Conference approved the rule amendments last fall at its annual meeting. The Supreme Court adopted the proposed amendments and transmitted them to Congress in April 2018. If Congress takes no action, the amendments will become effective on December 1, 2018.